Ideal for cabinet shutters or wardrobe shutters. Available in a wide range for different glass thickness. 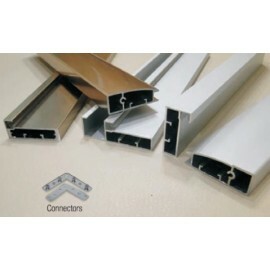 To be used with Aluminium Profile glass shutters. Absorbs vibration and thus protects the glass from breaking. 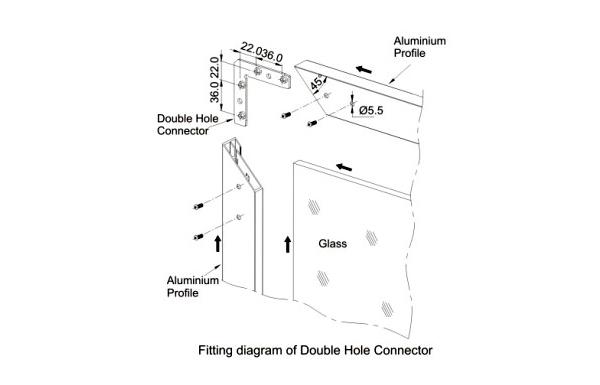 Cut the aluminium profile to suitable length and both the ends should be cut in 450 to form a mitre joint (Refer Fig. 1). 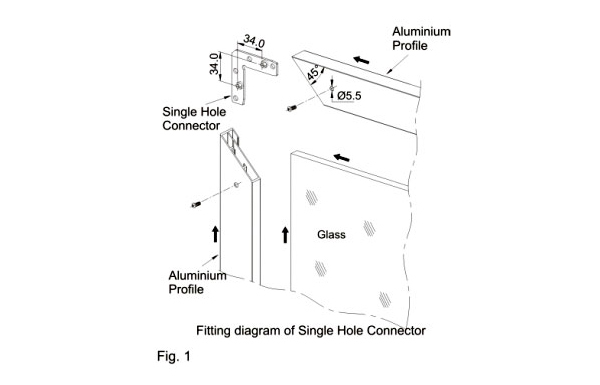 Drill ø5.5mm hole as shown in Fig. 1. 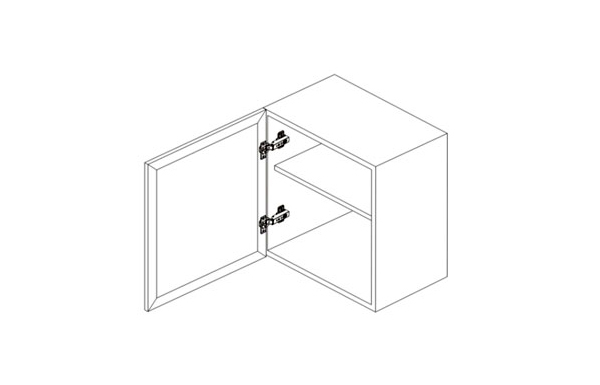 Insert the glass shutter in the track and join the aluminium profiles with corner connectors provided and screw it with the M5 screws provided as shown in Fig. 1.